Seaside is a small utility which allows you to sign-in in multiple Skype and Microsoft accounts in the same time. 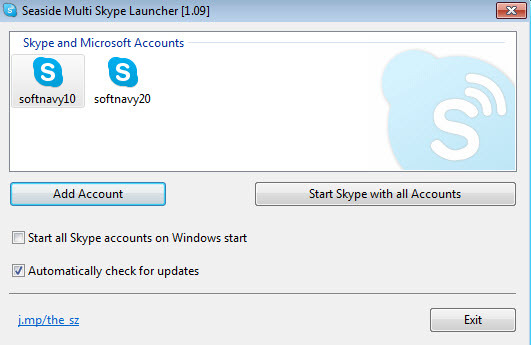 Usually, when you login into Skype or another messenger, you need to logout first from the previous session. But what to do when you have 2 or more accounts and do you want to be logged into 2 or more accounts in the same time? Seaside comes in help and using it you can login and use multiple Skype accounts in the same time. 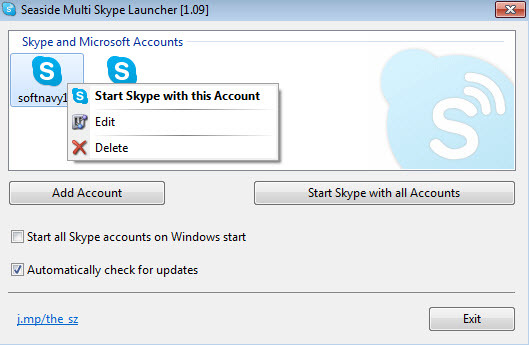 You can set it to start Windows with all Skype accounts started. Seaside is available as free download for Windows 32-bit and 64-bit. Seaside is 100% clean and safe to install. You can see the test results here.